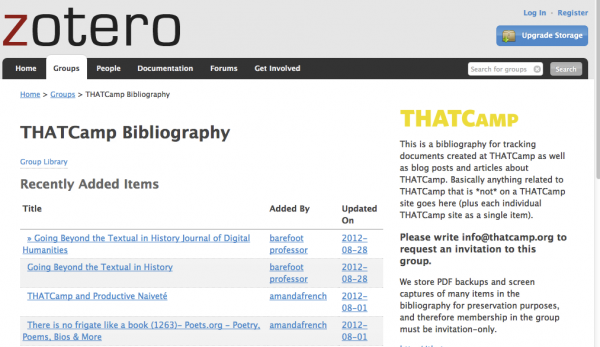 THATCamp maintains a Zotero group dedicated to collecting documents made at THATCamps, blog posts and articles written about THATCamps, photos taken at THATCamps, and anything else you think should be saved. The link to the group is here. Each THATCamp WordPress site is saved as a separate item, so there’s no need to submit items from those sites. 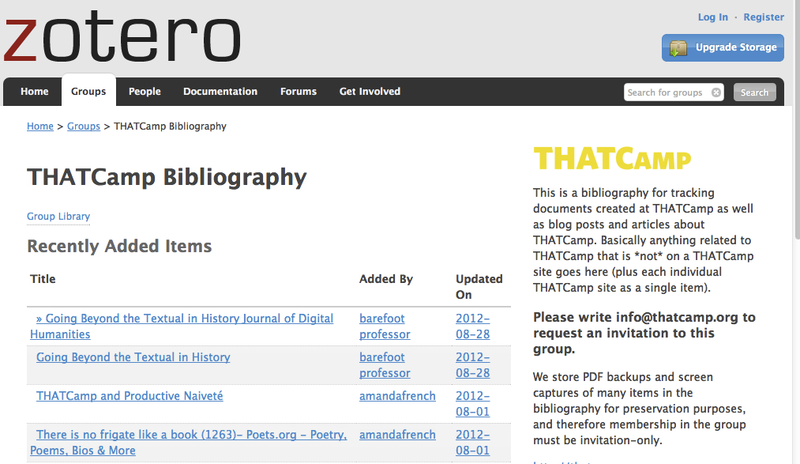 If you would like to join the THATCamp Zotero bibliography, please post a request to join on the THATCamp forums.